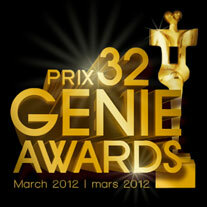 Apparently the Genie Awards have been going for 32 years and yet a lot of Canadians are fairly unaware of them. The Genies have been given out annually by the Academy of Canadian Cinema & Television since 1980. The Genie is a gold-plated bronze sculpture by Sorel Etrog of a bent over figure. It is 14 inches tall and weighs 14 pounds. Sad to say many Canadians do not know that the Genies are Canada’s equivalent of the Oscars. Take a quick poll of your friends and you will find they are pretty unaware of what films are Canadian productions. 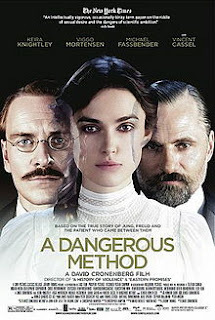 “A Dangerous Method” – it’s a Canadian film?! Many films are made in Canada. As a centre for Film production, Ontario is no. 3 ($1.26 billion industry) in North America behind LA and NYC. BC is no. 4. That means a lot of technical talent needed for filmmaking and post production is right here. A quick look at the impressive number of Oscars won by Canadians over the years shows the strength, depth and innovation of the Canadian film industry. Canadians have been winning Oscars since 1932. Paul Haggis (Crash, Million Dollar Baby, Casino Royale, Call of Duty: Modern Warfare 3), David Cronenberg (King of Horror – The Dead Zone, The Fly, Naked Lunch and History of Violence). Don Carmody is another resident celebrity with almost 100 films to date including blockbusters – Resident Evil, Porkys and many Academy Award productions like Chicago and Good Will Hunting and a few cult classics like Boondock Saints. James Cameron, self-titled ‘King of the World’ is another Canuk as is Keanu Reeves of The Matrix fame. They are all just hometown boys. Nia Vardalos (My Big Fat Greek Wedding) is one of Canada's rarer comedic writer/actors. Jean Marc Vallée (Young Victoria, Café de Flore) and screenwriter David Shamoon (“In Darkness”, Oscar Nominee). Canada has many Oscar nominated Animation and documentary filmmakers. Most recently 2 Oscar nominated animated shorts, Wild Life and Dimanche (Sunday).